The name of the district is derived from its headquarters Sirsa. It is said to be one of the oldest places of North India and its ancient name was Sairishaka, which finds mention in Mahabharata, Panini’s Ashatadhayayi and Divyavadan. In Mahabharata, Sairishaka is described as being taken by Nakula in his conquest of the western quarter. It must have been a flourishing city in the 5th century B.C. as it has been mentioned by Panini. There are a number of legends about the origin of the name of the town. As mentioned earlier, its ancient name was Sairishaka and from that it seems to have been corrupted to Sirsa. According to local tradition, an unknown king named Saras founded the town in 7th century A.D. and built a fort. The material remains of an ancient fort can still be seen in the South-East of the present town. It is about 5 kilometers in circuit. According to another tradition, the name has its origin from the sacred river Sarasvati which one flowed near it. During medieval period, the town was known as Sarsuti. It has been mentioned as Sarsuti by a number of medieval historians. The derivation of name Sirsa, is also attributed to the abundance of siris trees[Albizia lebbock (Benth)] in the neighborhood of Sirsa which seems quite plausible for it finds some corroboration also in Panini and his commentator. In ancient period, Sirsa was also known as Sirsapattan. Sirsa seems to be in the administrative division of Hisar Feroza during Firuz Shah’s reign. In the time of Akbar, Sirsa was one of the dasturs of Hisar Feroza Sarkar and much of its area lying in the present Sirsa district was covered by Mahals of Fatehabad, Bhattu, Bhangiwal (Darba), Sirsa, Bhatner (or Hanumangarh, Rajasthan) and Paniyana (Rajasthan). With the decline of the Mughal Empire, the track comprising Sirsa district came under the control of Marathas. The whole of Delhi Territory of which the tract formed part was ceded by the Marathas to the British in 1810. Sirsa was part of the outlying district of Delhi territory under the charge of an Assistant to the Resident. In 1819, the Delhi territory was divided into three districts – the Central which included Delhi, The Southern including Rewari, and the North-Western including Panipat, Hansi, Hisar, Sirsa and Rohta. In 1820, the latter was again sub-divided into Northern and Western and Sirsa alongwith Hansi, Hisar and Bhiwani formed Western district (Haryana district and later known Hisar district). In 1837, Sirsa and Rania parganas were taken out of Haryana district and alongwith Guda and Malaut parganas were formed into a separate district called Bhattiana. The pargana of Darba from Hisar district and the small pargana of Rori confiscated from erstwhile princely state of Nabha were transferred to Bhattiana in 1838 and 1847 respectively. In 1844, Wattu pargana running upto Satluj was added in the Bhattiana district. The whole of the Delhi territory alongwith district of Bhattiana and Hisar was transferred to Punjab in 1858 and the dustrict of Bhattiana was renamed as Sirsa. In 1861, 42 villages of Tibi tract of Rania pargana were transferred to the then state of Bikaner. The Sirsa district which comprised three tahsils of Sirsa, Dabwali and Fazilka was abolished in 1884 and Sirsa tahsil (consisting of 199 Villages) and 126 villages of Dabwali tahsil formed one tahsil and the same was merged in the Hisar district and the rest of the portion was transferred to the Firozpur district (Punjab). There was no change till the Independence of the country except that a village was transferred from Sirsa tahsil to the then state of Bikaner in 1906. 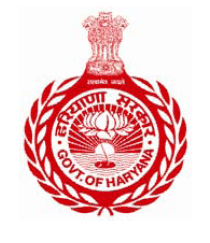 The entire area of the district was included in the new state of Haryana on November 1, 1966. In 1968, Sirsa tahsil was bifurcated into Sirsa and Dabwali tahsils. In 1974, three villages of Dabwali tahsil were transferred to Sirsa tahsil. On September 1, 1975, Sirsa and Dabwali tahsils were constituted into a separate Sirsa district with headquarters at Sirsa.